And he wants the Democratic establishment to get out of the way. California’s diversity means the state’s demographics match the national Democratic primary electorate almost perfectly. California has produced a bench of deeply ambitious young politicians, and they are disproportionately politicians of color, from Xavier Becerra and Kamala Harris to Eric Garcetti and Nanette Barragan. But many of these young politicians have faced a key barrier: the old class of Golden State politicians has been hesitant to get out of the way. Feinstein, at one point, said that President Trump could “be a good president” if he tried to learn, which disturbed many progressive activists. It’s not the first time she’s inflamed the progressive base: Feinstein supported the Iraq War, infuriated unions by working with Bush to break up a strike and supported Bush’s tax cuts. And it’s not just what Feinstein has done that’s frustrated progressives, but what she hasn’t done. Medicare for All, for instance, has broad support in California, but she has yet to sign on to a Senate bill being promoted by many of her colleagues. De Leόn harshly criticized Feinstein’s career voting record during our conversation. “There are a lot of votes she took that I wouldn’t have,” he said. “I wouldn’t have voted for the war in Iraq, which has cost us trillions we could have been spending on a carbon-free economy, affordable college, and single-payer health care. I wouldn’t have voted to prosecute 13-year-olds as adults. I wouldn’t have supported invoking Taft-Hartley to help George Bush end a strike. I wouldn’t have voted for the wall. You know, Feinstein supported the wall before Trump did,” he said, referencing 2006 Secure Fence Act that authorized a wall on the southern border. Though de Leόn is more progressive than Feinstein on a range of issues, he’s staking his campaign on two key things: immigration and climate change. As the second-most-powerful politician in a state with an economy larger than all countries but four, he has intimate experience with pressing through progressive priorities on immigration and climate change. 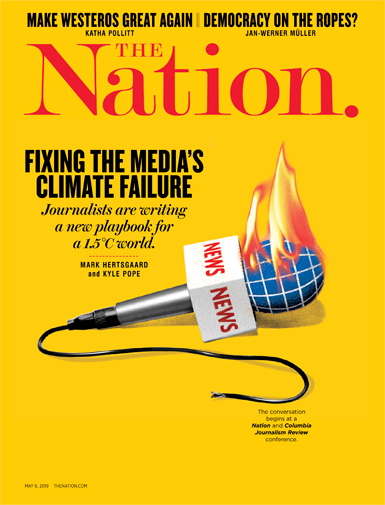 For many activists in California who support de Leόn, climate change was the deciding factor. R.L. Miller, the founder of Climate Hawks Vote, which endorsed de Leon because of the overwhelming support of its members, said of Feinstein, “She’s been a reliable vote, but not not a leader. She’s not active on this issue. And California should have a leader.” Miller noted that in a mailer to ​activists, Feinstein is touting climate legislation she worked on with Olympia Snowe from 2007, more than a decade ago. On the other hand, Miller pointed to legislation that de Leόn personally navigated through the State Senate like SB 350, which mandated more renewables (through what are called Renewable Portfolio Standards) and increased energy-efficiency targets, and SB 100, which will make California 100 percent ​clean​ energy by 2045. Miller also pointed to an instance of personal importance. As a state party official, she had written a ​resolution calling on ​the state pension​ fund​ (CalPERS) to divest from coal. “​Somehow [de Leόn] found the resolution,” ​she said, and a few short ​months ​later, the law was changed to require CalPERS to divest from coal within five years. De Leόn has pledged to take no money from fossil fuels, and he wants to achieve full employment through green energy. “Everyone wants a high-wage-paying job. Everyone wants the opportunity to provide for their families. To put a roof over their heads, to put clothes on their backs, and food on the table. It doesn’t make a difference if you’re white, Latino, African American, Asian American, or racially mixed. A job, everyone wants a job,” he said. One of de Leόn’s deepest frustrations with the current Congress is its inability to pass meaningful immigration reform. “What is happening nationwide is members of Congress on both sides of the aisle haven’t gotten their act together to move forward comprehensive immigration reform,” he said. “Dreamers are the low-hanging fruit. This should be the easy part. But Democrats sacrificed their leverage when they folded on the continuing resolution” to fund the government earlier this year. In any other state, a politician with de Leόn’s resume would have no trouble seeking statewide office. In a state with 40 million people and only two senators, that’s not a given. Feinstein’s decision not to retire sent a signal to the next generation of politicians of color—the establishment wanted them to wait a bit longer for their turn. But his candidacy is also a symbol of the ways in which the political left is still coming online. At the state Democratic convention, Feinstein was denied an endorsement, in a powerful rebuke. But left and progressive delegates split their votes between no endorsement and Pat Harris, narrowly denying de Leόn the 60 percent he needed for an endorsement. De Leόn has remained behind in the money race, pulling in $1 million, according to the most recent FEC filing, while Feinstein has nearly $10 million. Any path to victory will rely on mobilizing the Democratic base, and particularly Latinos. “Latinos make up about a quarter of the electorate, but in past four primaries have comprised about 11 to 12 percent of vote casts. Turnout is going to be the most important question,” said Paul Mitchell, the Vice President of Political Data, Inc and widely seen as one of the leading experts on polling in California. Unlike in New York, where unions have backed centrist Governor Andrew Cuomo over progressive candidate Cynthia Nixon, unions have embraced de Leon—both the AFL-CIO and SEIU endorsed him. “Absolutely from the labor perspective, Feinstein is out of touch with working people,” said David Huerta, president of SEIU-USWW. “California is a different state than it was 25 years ago—it shouldn’t be a question that the Senator from California supports card check and EFCA,” a reference to Feinstein’s opposition to 2009 legislation that would have eased the process of unionization. It’s an uphill battle for de Leόn, but “this is not a quixotic campaign,” said Daraka Larimore-Hall, vice chair of the California Democratic Party, who noted de Leόn’s support among labor and progressive activists. “Feinstein hasn’t been doing the work to make these relationships. 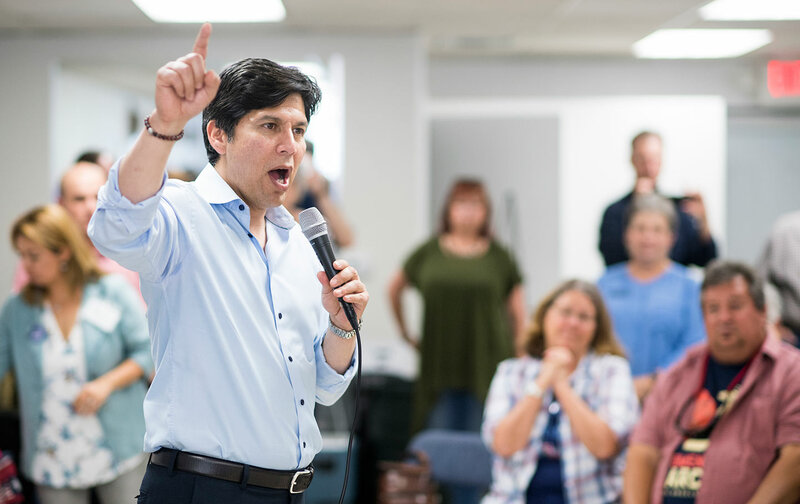 In my time in the California Democratic Party, the first time I saw her face was at the most recent party convention.” He (and every activist I talked to) cited the fact that de Leon was a constant presence at party events. After the June 5 primary, where de Leόn and Feinstein are both likely to advance, the campaign will be a wild ride in a state where Democrats will make up around 45 percent of the electorate. “We’re all bracing ourselves for a turn right in the general election,” said Larimore-Hall. “Feinstein proudly used boos from California delegates about the death penalty in her first run for Senate.” Mitchell noted that neither Democrat will be able to try to win over Republican voters, because the risk of losing Democrats is too great and many Republicans will simply skip the US Senate line on the ballot. He said both candidates could pick up independent voters and might win some Republicans, but it’s not clear how it would shake out. “Feinstein can’t run as the anti-establishment candidate, and even in California, Republican voters like Trump,” said Mitchell.